Often, I have suspected, understanding life is directly correlated with unlearning a lot of what we have been led to believe. The ability of our mind to process life and put it into neat little boxes never ceases to amaze me. Whereas life itself is interconnected at every level. That the mind will trick you is something I ought to know by now. But it still manages to pull one over on me every now and again. Over the last few months, I had been receiving a few negative comments about my sponsored posts. Unbeknownst to me, they had apparently had an affect on me and subconsciously I also started looking at sponsored posts as something that was a break in the flow of an Instagram feed which is an honest representation of my life. Then came the HDFC campaign, which asked of me to spend time with Kabir everyday for 21 days discovering a new activity. Needless to say, I was happy but I was still looking at it as a campaign. Here I was getting to spend time with my child and share it with the world and I was worried about how it might interrupt my feed. Half way through the campaign I realised how much I actually enjoyed each of those activities and that I had created memories that would stay with me for life. I had fallen into the trap of my mind yet again! Once I let go, I realised that in the humdrum of everyday life, homework, house work and my work, we had been existing together and not really spending a lot of time with each other. I got to discover Kabir for the person that he is and our relationship in the manner that it has evolved. His creativity in making Boomerangs. His little eccentricities about peeling vegetables. Our ability to play as a team. His utter and absolute passion and my appreciation of the trampoline park. I never even realised but I never actually worked on making spending time with Kabir a habit! And to think about it, I might have let go of this campaign because I thought it would feature too much sponsored content. I have always recommended things that I have personally tried and actually enjoyed. Yet, it takes just a few comments for self doubt to set in. I am sure this isn’t the last time my mind has got the better of me but I will keep at it as best as I can. 1) I thought I’m spending time with Kabir everyday but it was mostly limited to school homework, projects etc. Now that he’s 10, I had taken his sense of curiosity for granted. I connected with him again at so many levels as he started talking to me about more “cool stuff”. 2) We learned to negotiate reasonably as some activities were as per him and some as per me. One of the activities that I chose was peeling peas. I got nostalgic and remembered how I used to do it for hours, Kabir couldn’t relate to it but had fun anyway and similarly I wasn’t up to jumping in the trampoline park (let me be honest, I was scared to make a fool of myself but I don’t think I have laughed so much in years. 3) It might sound strange that you need to “make it a habit” to spend time with your own child but it works. We take people we love the most for granted and this was a gentle reminder to not to. 4) I realised the importance of playing while staying fit. Children don’t do jump around and do cartwheels in order to be “fit” or “exercise” and it was a big lesson for me. I love CrossFit but subconsciously my idea of it changed. I have started enjoying it even more and take a lot of new movements as play. 5) I was amazed, yet again, at how children let their imagination run freely while we hold ourselves back in the fear of being judged. Instagram has some amazing apps like boomerang and reverse videos and I can’t deny that it was fun to use them in a very creative way. 6) Children forgive easily. 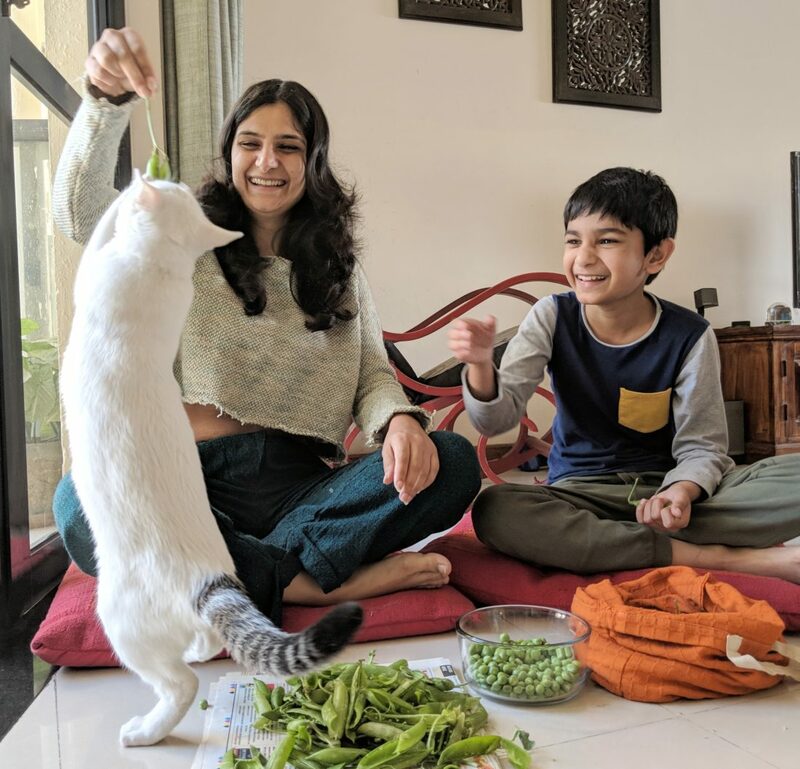 Kabir is 10 and it’s still so easy for Kabir to let go of things and move on. No wonder they are so happy. Letting go is the key.